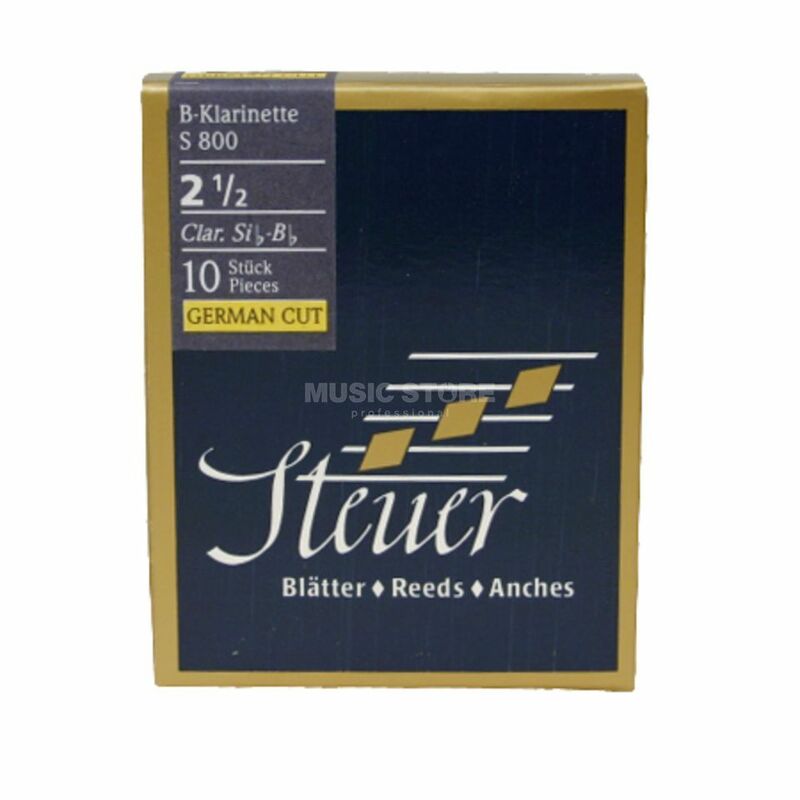 The Steuer S800 Blue Line 4 Bb Clarinet Reeds Box Of 10 is package of clarinet reeds made to the highest quality profiled and selected manually for the most demanding musicians, using the very latest technology. S800 reeds are designed by Sabine Meyer-Wehle, offering a full sound thanks to its thick heel and significant curvature. It is recommended for German medium long and medium long open mouthpieces.